Biometrics are physiological features that allow individuals to be identified. Popular biometrics include fingerprints, faces, and irises. A common use of biometric systems is to authenticate users desiring access to a system or resource. Universal Access can be promoted with biometrics. Biometrics provide a secure way to access information technology, although the use of biometrics presents challenges and opportunities unique to other authentication methods (such as passwords and tokens). Biometric systems are also vulnerable to poor usability. Such systems must be engineered with wide user accessibility and acceptability in mind, but also need to provide robust security. 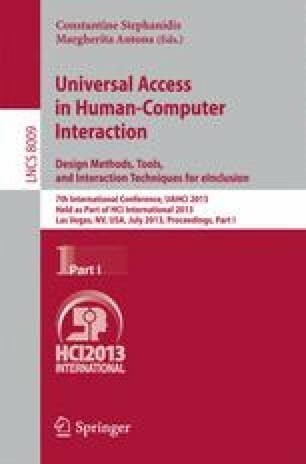 This paper considers the application of biometrics in Universal Access systems with regards to usability and security.